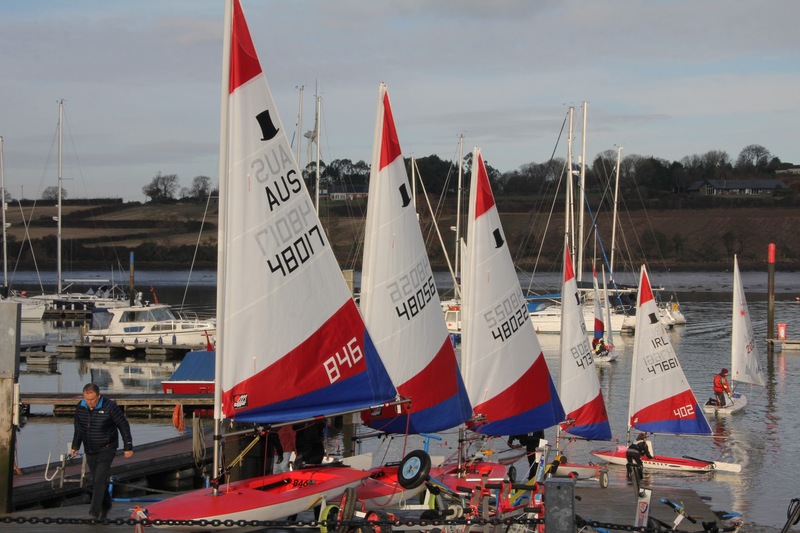 Close to forty Laser (combining both radial & 4.7 rigs) and Topper dinghy sailors completed the November frostbite series earlier today and the conditions were ideal apart from the chill factor. A ten race series saw many new faces competing in these strong dinghy classes and special thanks to the Kinsale Yacht Club sailors who travelled to take part. Pictured above is the prize giving which confirmed Chris Bateman as the laser radial fleet winner with a solid and consistent performance. Tom Keal and Paddy Cunnane also finished on the podium in second and third respectively. Not to forget the ladies, Amy Carroll finished first girl. The 4.7 fleet saw a great tussle develop between Conor Walsh and Cathal O’Regan with both sailors all square going into the final race. In the end Cathal nosed ahead with Conor finishing second and Mia Murphy also having a great event finishing third and first girl of the regatta in this class. Finally the Topper fleet presented the beautiful Bill Jones Memorial Trophy to Jack O’Sullivan who took overall honours, with Rob Keal taking second on count back and Kate D’Arcy finishing third. Fantastic to see so many on the water at this time of year and special thanks also to all the parents who helped ensure that the event was a success. 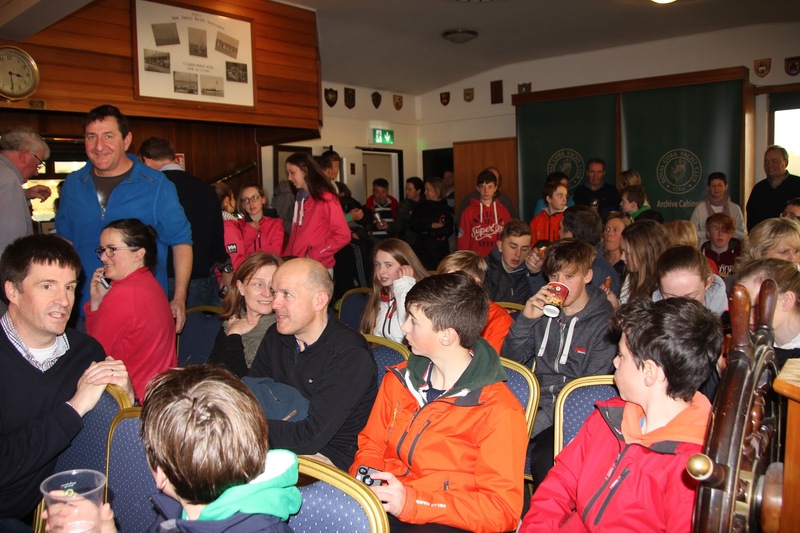 Thanks also to Deirdre Horgan for some great photos which can be viewed on the link below.